We want YOU to help us celebrate the most Toontastic event of the year! This year marks the 5th Anniversary of Toontown Rewritten's ToonFest, and we're making it the biggest celebration the Tooniverse has ever seen! Tickets are sold directly by ReplayFX on a third party website. Select "Toontown" as your reason for attending at checkout! ReplayFX has so much more than Toontown. Learn more details about the event on their official website! Turn your Trip to Toontown into a family vacation! Pittsburgh has everything you need to make your summer a blast. Kids, teens, and adults alike all love ToonFest for the opportunity to talk one on one with the Toontown Rewritten staff and meet other players from around the world. The weekend is jam-packed with games, competitions, panels, and activities designed all around Toontown. NO COGS ALLOWED! Each and every year, the highlight of the ToonFest celebration is our hour-and-a-half Main Event! Get an exclusive look at upcoming updates, behind the scenes information from the developers, and surprises galore! At our secondary panel, you'll be able to step up to the microphone and ask the Toontown Team ANY question you desire. We know you're eager to know what's under that cloud! We'll have dozens of Game Stations at our booth ready to play Toontown! This means that you don't need to bring your own laptop to the event, but of course, you're welcome to do so if you don't want to worry about waiting your turn for a Game Station. One of the most exciting things to do is hop into a Cog battle alongside players and Team members sitting right next to you. It's the perfect opportunity to meet new friends, and you'll never see a bigger gathering of people playing Toontown all in one place! The Toontown Team has some of the most talented and friendliest artists around who would love nothing more than to meet you at our Art Station! Alongside that, there's art supplies a' plenty, where you can draw and color your favorite Toontown scenes with fellow players. At ReplayFX, there’s hundreds of your favorite games to play - no quarters required! ReplayFX’s main attraction is their wide selection of Arcade Cabinets, Pinball Machines, Tabletop Games, Game Consoles, and more. From the classics to the modern greats, there’s no shortage of amazing games to play. ReplayFX is also the host to an entire suite of live music, so you can kick back and enjoy the tunes while others play. Kids can enjoy the inflatable Bouncy Houses and Obstacle Courses, providing a way to get active and have some fun inbetween games. With ReplayFX's tournaments, including the largest Pinball Tournament in the world, you could come out a victorious winner of your favorite game! Fans of Cosplay can also dress up as their favorite character and enter the Cosplay Competition. 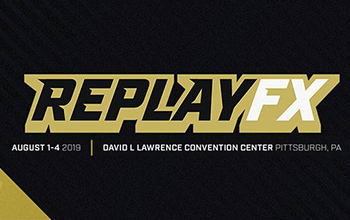 Check out the ReplayFX schedule and "Competitions" tab of their website for more information. Keep your eyes peeled on the Toontown Blog for more information as we draw nearer to ToonFest. We have even more activities and information that we'll be announcing along the way! So, what are you waiting for? Grab your tickets for ToonFest TODAY! This year's event is celebrating the 5th Anniversary of Toontown Rewritten's ToonFest! The event will be recorded and uploaded for those who are unable to attend, but you really won't want to miss it if you are able to be there in person! Toontown Rewritten receives no profit or revenue from this event -- we're in it for the celebration of all things Toontown! Convention costs are being paid out of pocket by our loyal staff members. In addition to the "TOONTASTIC" activities we have in store, ReplayFX has a show floor packed with over 200,000 square feet of games, activities, and entertainment for the whole family! Any questions, ideas, or concerns? Contact [email protected] and we'll be happy to help you plan your trip!